Support and maintenance are industries that can be difficult to website design and develop for. They can be simple, basic and clear services that don’t have a whole lot of content and ideas surrounding them, and occasionally can come across as potentially dull if not translated correctly visually. 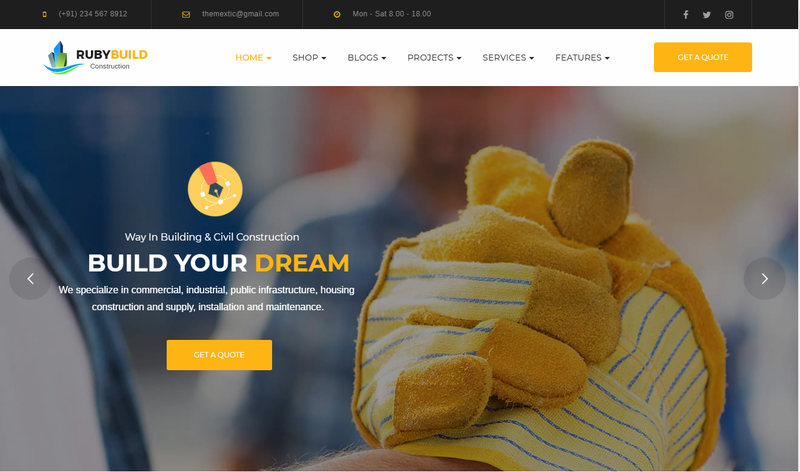 How do you make a drain unblocking company’s website look great? When you don’t have a whole bunch of inspiring text and imagery to go with, choosing your WordPress theme becomes more of an important task than ever. We’ve shortlisted some of the best themes for companies in the Support & Maintenance sectors. Ibuki, from Italian designer Alessio Atezni, is designed to be ideal for services and portfolio websites that want to clearly state their offerings but still look visually engaging and interesting. It is built with solid features, WooCommerce compatible, WPML ready, short codes, page builder, options panel, revolution slider and is built around the Bootstrap 3.0 Framework. The theme packs in a huge number of features, so is ideal for those who are perhaps already familiar with WordPress and themes. Even as a beginner, you are well covered with your documentation of information and advice, which even includes a link to Alessio’s YouTube tutorials where you watch him take you through the basics. The masonry layout of the page builder, which is automatically responsive, produces clean boxes of text, allowing service based industries to easily segment their information and present themselves clearly without looking too corporate or boring, ideal for IT Support Websites. The clue is in the name, as this theme was created with the construction and maintenance industry in mind. With clean fonts and plenty of customization options, you can change the visual style of any elements without needing to touch a single line of code. Knowing that this industry may have a more complex series of services on offer, the built in Mega Menu (XMENU) allows the allocation and organisation of multiple menus and categories to be simple. Elements are created with enhanced retna display, looking clean and sharp on all devices, with fast loading times of any colour scheme and imagery chosen. This theme is great if you know you are going to want to be image heavy with a focus on brand colours and logos. 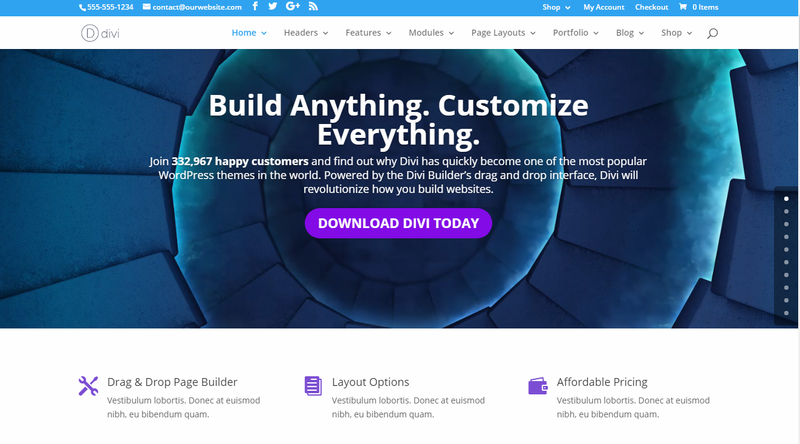 Divi is powered by the Divi Builder and a fairly new theme from Elegant Themes. With a fast front end editor and no need to open a settings panel to add text, with real time design changes before your eyes. It’s the ideal choice for a beginner. Adjust fonts sizing, spacing and colours and even apply custom CSS all from the front end editor. With layout templates already available, it’s easy to add new services as they come and go and build new project and case study pages in a matter of minutes. It’s likely for support industries to have sections dedicated to project work, and the customisable Divi Layouts allows you to save layout templates that you’ve made for different areas of work. 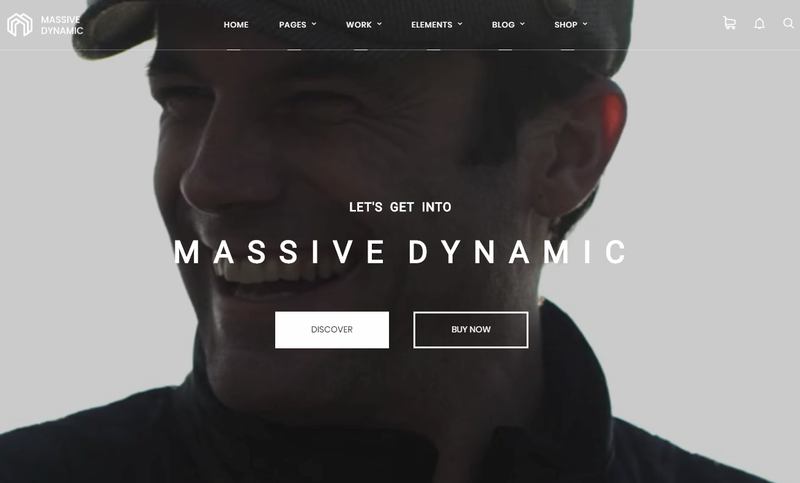 Massive Dynamic is the slightly more abstract and creative option for this industry. Elegant and stylish, it contains a myriad of completely different and distinct website archetypes and applications with powerful tools to handle all sorts of development tasks effortlessly. 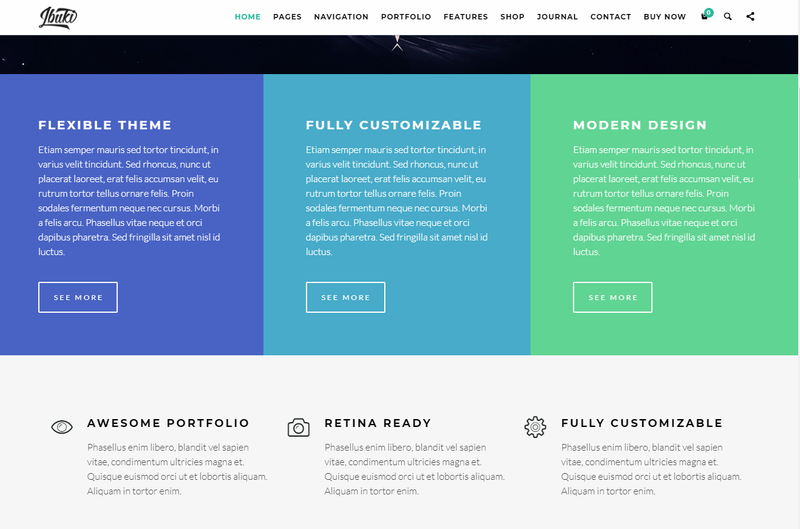 Graphically, it’s a customizable environment with sleek layouts and plugins. Plugin options are generous, making it equipped for a range of profoundly useful tools that can benefit a service industry website’s need at clear layouts of information. The set up makes adding products and services super easy with the supported e-commerce capabilities, useful for support and maintenance companies that also sell products online. It’s also been renowned for its customer support efforts, with rich text documents and somebody at the other end of the phone ready to help their customers with any issues. 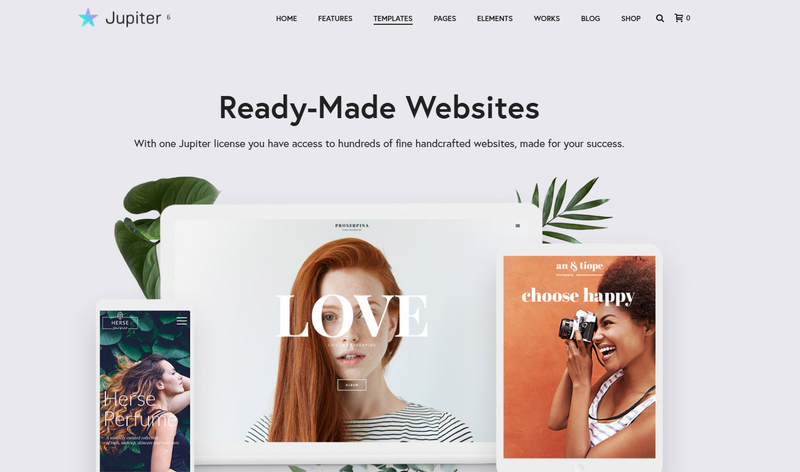 Labelled the simplest yet advanced WordPress builder ever created, Jupiter contains a visual page builder to create pages in real time. With a Shop Customizer built in, it’s effortless to edit the details of any products uploaded, and the header builder can assure that you can keep you projects and services nicely separated and outlined. Known for it’s existing portfolio layouts upon download, it’s ideal for a support industry that is showcasing previous examples of work. A required plugin manager also makes installing and updating plugins easier than ever, with set reminders. Whatever the support and maintance industry you’re in, there’s WordPress themes out there that will make what you offer engaging and concise. A clearly translated story and aim can bring a huge amount of value to any WordPress service site.